On Saturday August 23, all four galleries of the Shirokane Art Complex will hold a joint reception launching new exhibitions, and we hope you will join us then. Please be careful in the intense heat, and we look forward to seeing you after the holidays. We apologize for the inconvenience, but London Gallery's Shirokane location will be closed on Saturday July 19th. WIth the typhoon gone and the sound of cicadas in the air, we can say that summer has finally begun. We are pleased to announce the start of our next exhibition in Shirokane, that aims to create a cool, refreshing summer space that you can all enjoy. 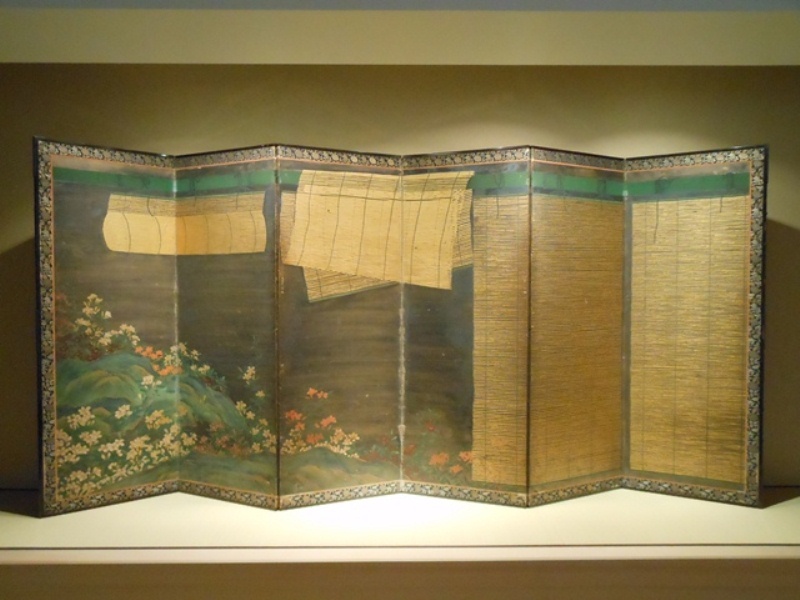 With vibrant, lush flowers visible in the garden beyond, you can almost feel a soothing summer breeze blowing through the bamboo blinds of this early Edo period screen. We hope you will come see us for this latest show. 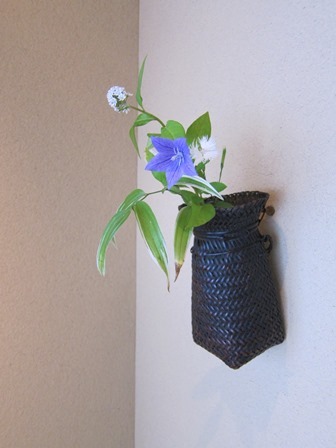 ※ Please not that certain exhibits will be rotated throughout the course of the show.